Easy, cheesy comfort food! 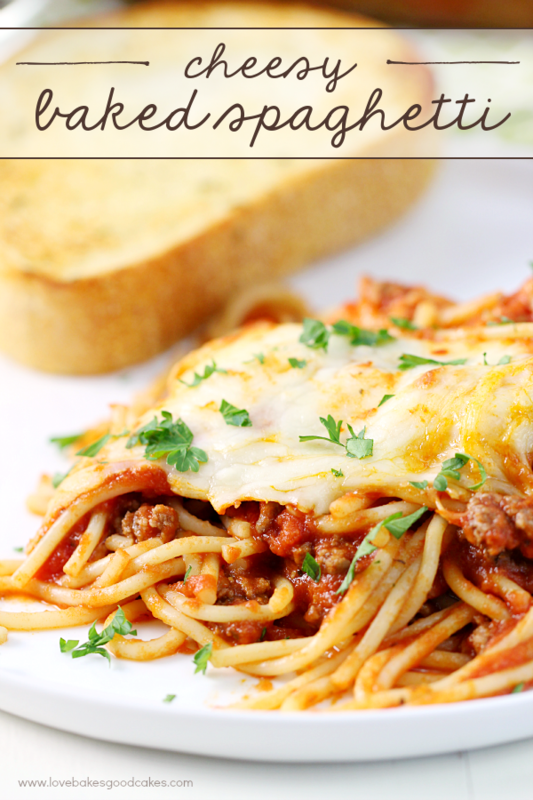 This Cheesy Baked Spaghetti is a breeze to put together and is the perfect meal for family or company! One of the things I love about this time of the year is the return of comfort food! During the summer months, we tend to do more grilling and we eat lighter foods. As much as I love those foods, I love good old-fashioned comfort food more! Mashed potatoes with gravy, chili, macaroni and cheese, pot roast – and I love all of the cheesy casserole dishes! 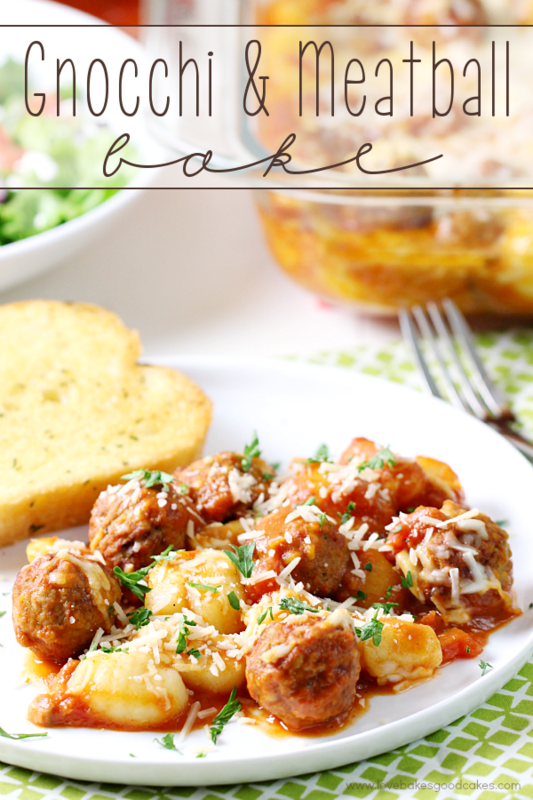 Make it a cheesy pasta dish and I’m on cloud nine! With the holiday season upon us, I wanted to make a few dishes that will make life easier in the coming weeks. 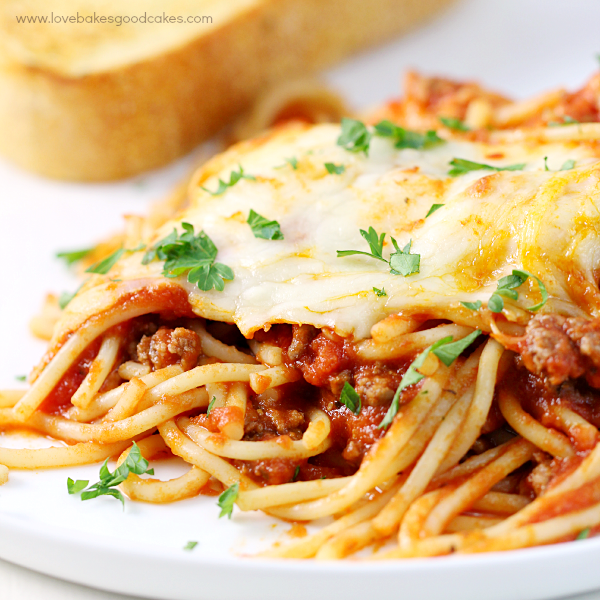 This Cheesy Baked Spaghetti fits the bill! I quadrupled this recipe so we could enjoy one of these casseroles for dinner and I froze the other three for a night when I needed a big head start on dinner or when we have company over! 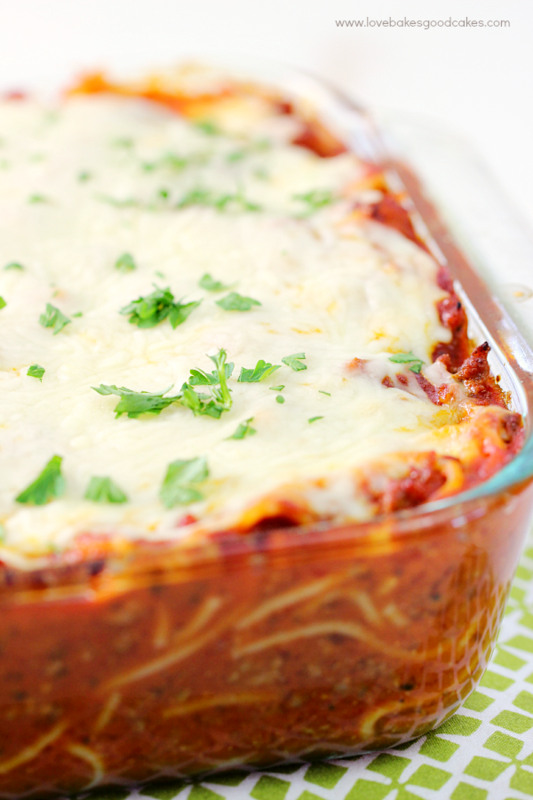 If you want to freeze a few of these Cheesy Baked Spaghetti casserole dishes ahead, it’s easy! I put mine in disposable foil pans so I don’t tie up my everyday cookware and bakeware. When it comes time to make the casserole, I can just thaw them and bake them per the recipe directions – or I can bake from frozen by baking for an hour to an hour and half or until heated through! I will also note, in the recipe below, you can substitute a half of a jar of spaghetti sauce for the tomato sauce and additional spices if you prefer. 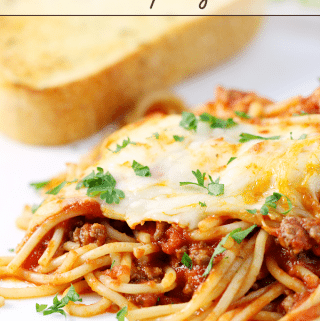 In some cases, I don’t want half of a jar of spaghetti sauce sitting in my fridge and I have no other recipes that week that I can use it in – so I use the tomatoes and extra spices listed in the recipe. On days when I batch cook or I have another use for half of a jar of spaghetti sauce, I take that route. 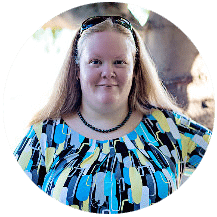 Use whichever method works best for you and your family! As you see, I like my pasta casseroles, extra saucy and extra cheesy! I mean, who doesn’t … right?! 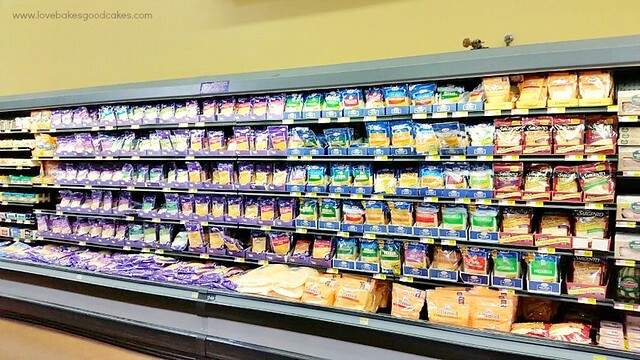 While shopping at Walmart, I picked up a few bags of KRAFT Natural Shredded Cheese. Since I knew I wanted to make this pasta dish, I made sure I grabbed a bag of the shredded Mozzarella. 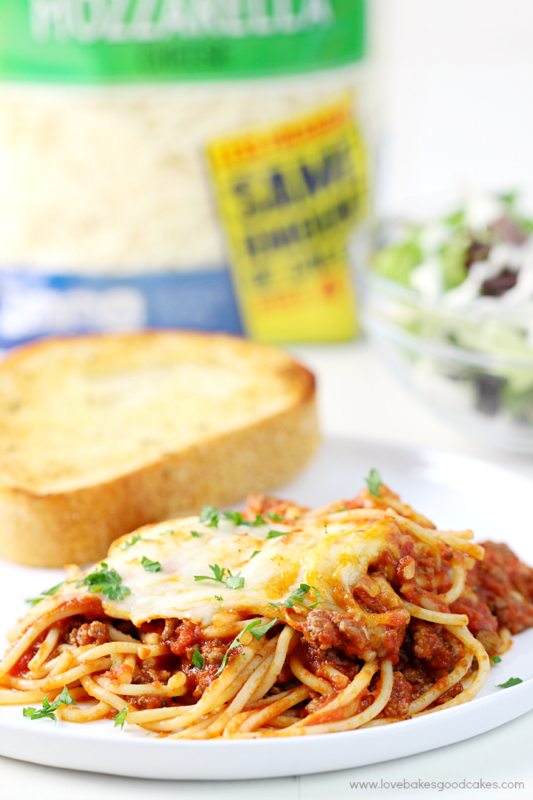 Kraft Natural Shredded Cheeses are the perfect touch for so many meal ideas! Meanwhile, brown and crumble the ground beef in a large skillet over medium-high heat until meat is no longer pink. Drain if necessary. Stir in the jarred spaghetti sauce, tomato sauce, garlic, basil, rosemary, oregano, sugar, olive oil, salt, and pepper. Allow to simmer 10 minutes. Add the pasta, stirring well to combine. Remove from the heat. Transfer the noodle mixture to a 9x9-inch casserole dish that has been sprayed with cooking spray. Top with KRAFT Natural Shredded Mozzarella Cheese. To serve, garnish with chopped parsley if desired. 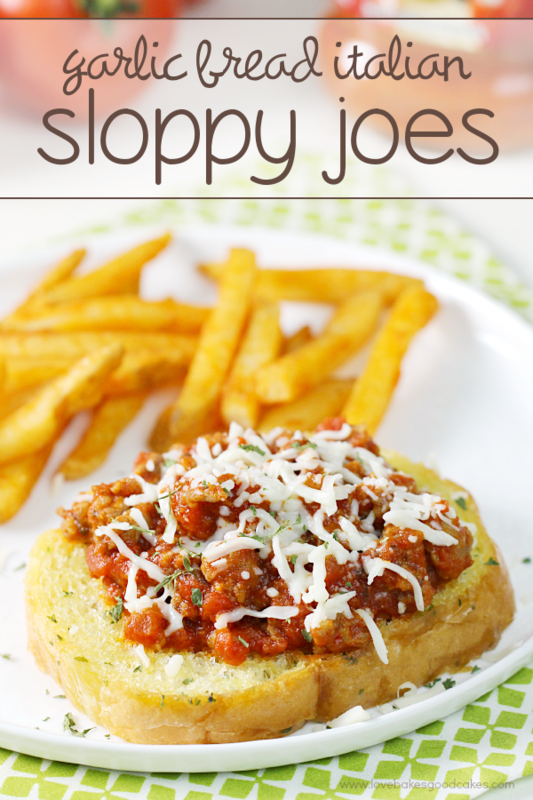 Totally pining this for a great weeknight dinner!! You're making me hungry ! 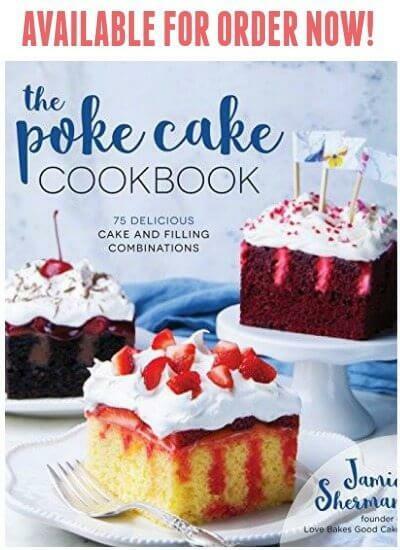 Looks delicious and exactly what my family would love ! Jamie, I wanted to eat thi the second I saw it. yum! 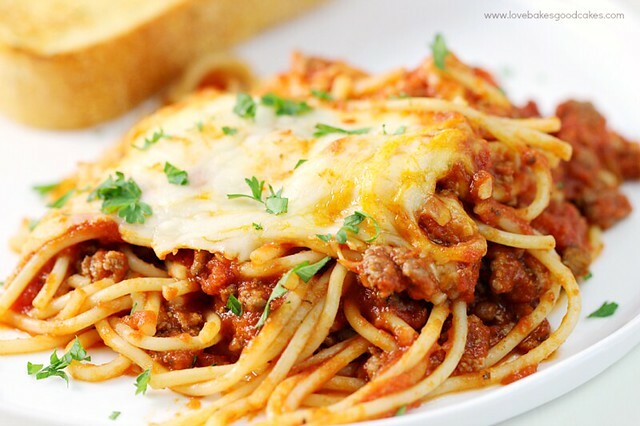 Why have I never thought of putting CHEESE on my spaghetti? Yum!!! Mmmmm – sounds and looks so good!! Thanks for the great idea & suggestions and such a wonderful write-up!! Just made this and can't wait to eat! One question…if doubling for a make ahead dinner, should I freeze without the cheese and then add the cheese after it's thawed?